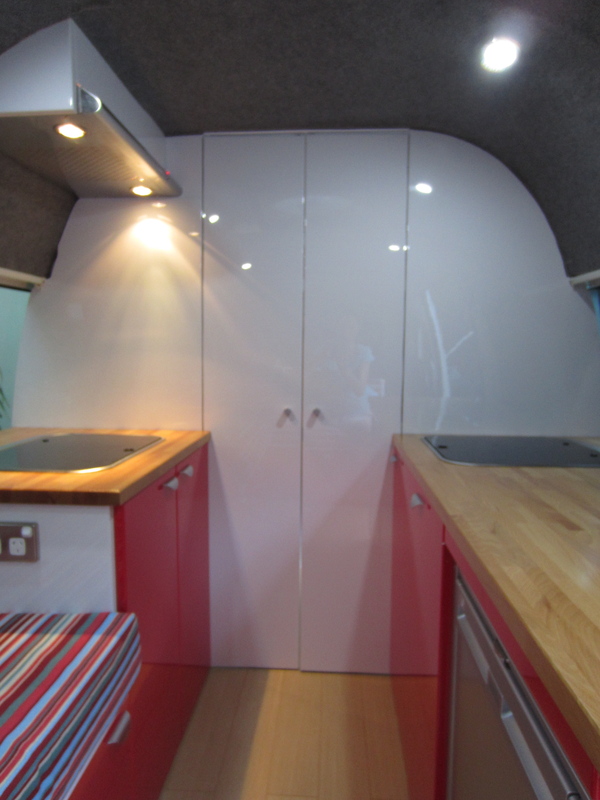 With a new deadline of Christmas, we’ve spent the last few weekends adding the final touches to the campervan. The glass mosaic tiles were left over from our own bathroom so we thought we’d continue the red theme through from the living area. He added new hinges, handles and a lock at the top of each door, so they can be secured in both the open and closed positions. So the interior is very nearly complete. In other news, the curtains are finished – hurrah! My new nemesis is the tiebacks; they are being decidedly tricky. 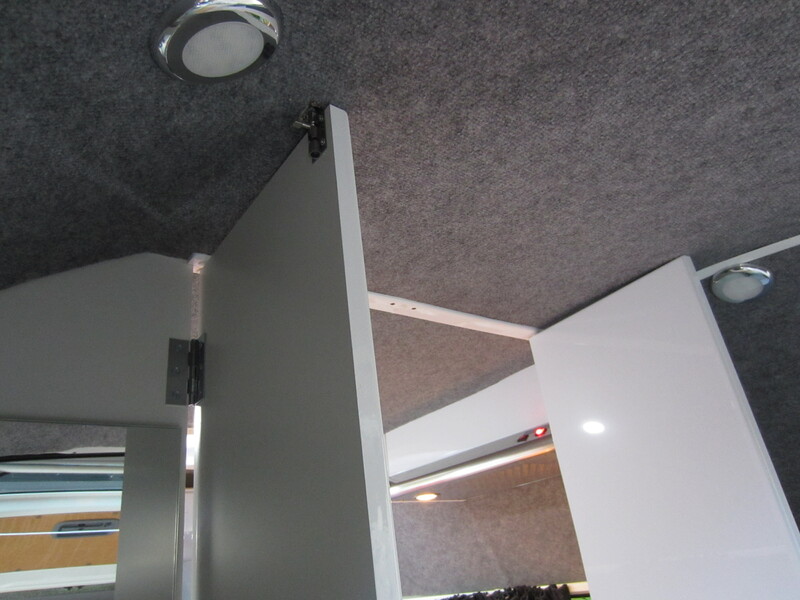 This entry was posted in Building a diy campervan, Campervan plumbing and bathroom and tagged build a campervan, campervan bathroom, Campervan conversion project, Campervan photos, Converting a campervan step-by-step, DIY campervan, how to convert a campervan by Rach. Bookmark the permalink. Love this conversion! What van is it? It looks very spacious. We convert vans ourselves. Check out our conversions on http://www.leisurehubs.com. Thanks very much Mark, it’s a Toyota Hiace Commuter van. When I think back to when it was a 14-seater minibus, it’s amazing how much you can manage to squeeze in. Your vans look great – just down the road from where we used to live as well! Thanks for sharing. 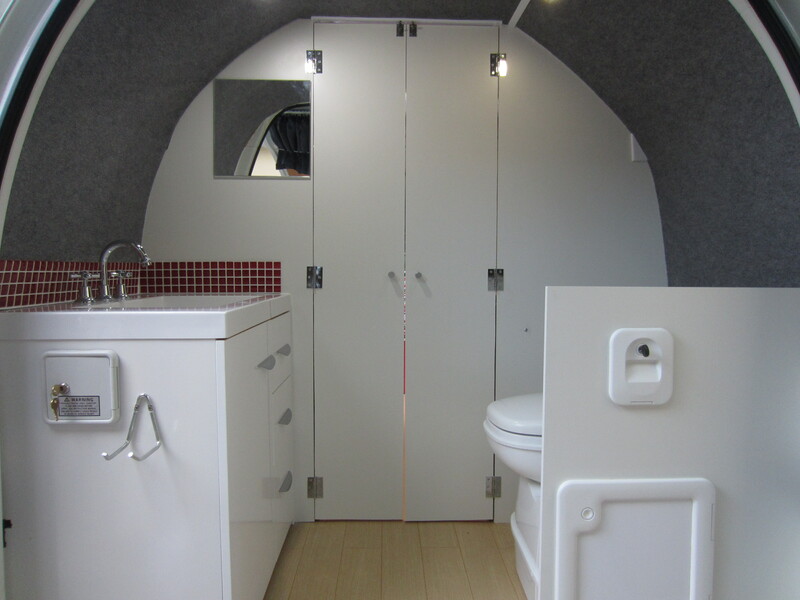 I’ve been having trouble with converting the bathroom in my campervan. 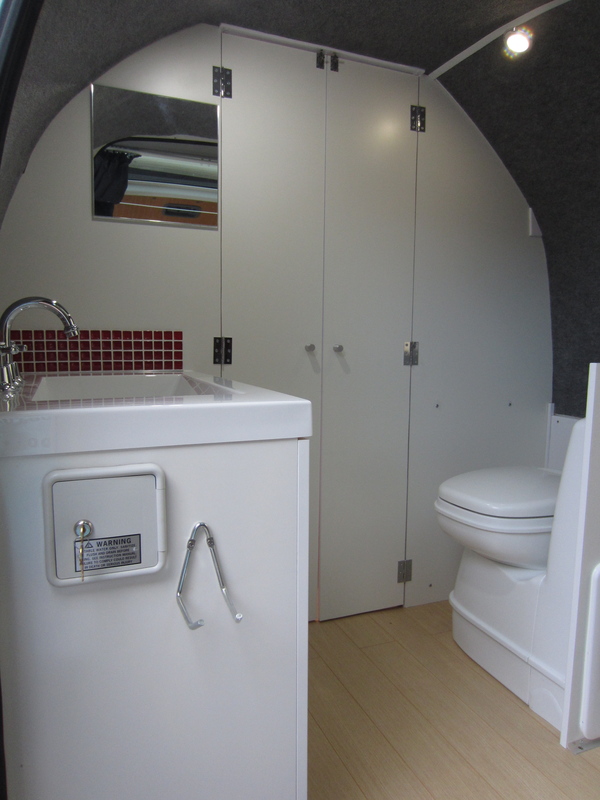 It’s helpful to read about your success story with converting your bathroom in your campervan. I’ve also had some trouble with the tiebacks when I tried to work on the curtains. I agree, they are quite tricky. Perhaps one day we’ll both find a way to make them work for us. Great job guys thinking of installing roof vent fan as you have but was concerned about the seal over the ridges in the roof of van,do you just fill the gap roughly 5mm with sealant.thanks.regards Mark. Hi Mark – yes, exactly. We put the sealant in then screwed it down tight to secure. Good luck!